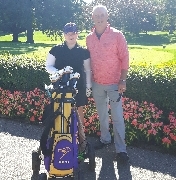 I am really proud to announce that Katie Strauss from Dorchester who is attending Wilfred Laurier University in Waterloo made the womens university golf team. It has been great to see her improvement over the last 3 years. The changes we made to her swing and set up from day 1 have been drastic but with practice and hard work, Katie has transformed her game. Katie continues to hit the ball further and straighter and next year our focus will be on course management and how to shoot a lower score while fine tuning her swing. Good Luck Katie, you’ve made your family, university and myself proud of your growth as a golfer and student. I am very pleased to announce that Victoria who is attending Vancouver Island University, made the womens university golf team. I have worked with Victoria for several years and her game steadily improved year by year. Victoria has always had a great attitude when it comes to the game of golf which made it easy for me to teach her. She has always been a great athlete in any sport she played, now golf is her focus and I know with the latest adjustments she will exceed at golf as well. Good Luck Victoria. 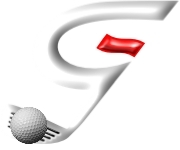 I am happy to announce that Linsday who is attending Guelph University, made the womens university golf team. Even though I have not worked on her game that long she had a good swing to start, with a few adjustments there were immediate improvements.Lindsay will continue to advance her game to next level with focus on course management and the short game which will save the most shots.She has always driven the ball well with regard to direction and distance. Next year we will create more distance and have knocked several shots off with short game focus.Good Luck this year and you should be very proud of your accomplishments. I am very happy to announce that Stephanie will be playing on scholarship for the Olivet College Womens Golf Team in 2018. She has worked hard over the past few years on her game to get to this point. We will be working on the mental aspect of tournament golf and fine tuning her swing for the upcoming college season. I know she will make her parents and me proud.